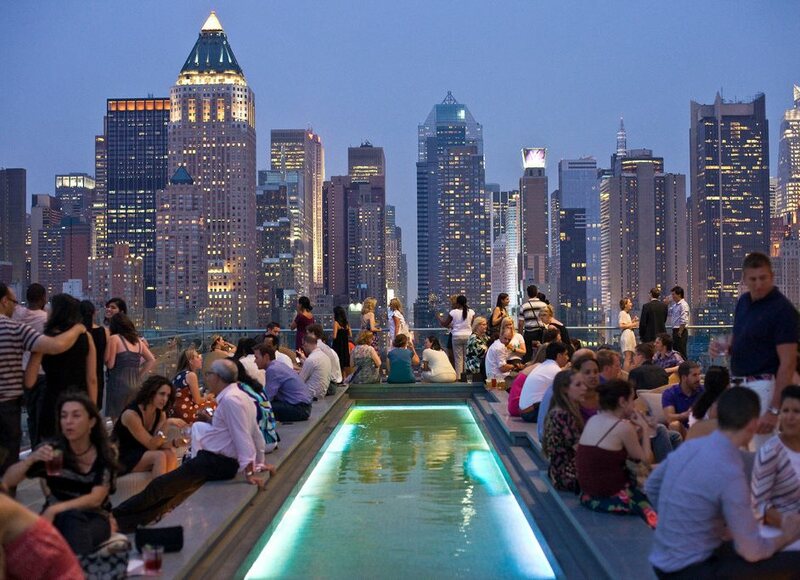 The 5 Best Rooftop Bars Around The World! 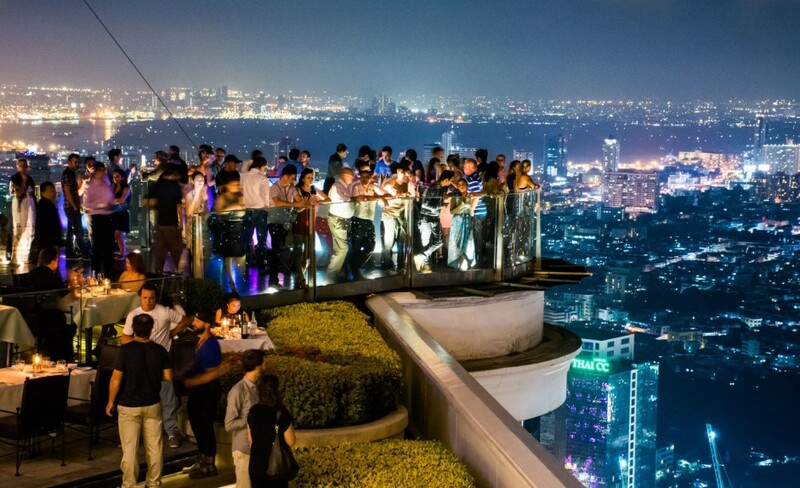 Get set – we’re visiting the 5 best rooftop bars around the world! October marks the second anniversary of the opening of our Rooftop Terrace at The Light Brigade, and with that in mind, we thought we’d take you on trip to other amazing rooftop terraces around the world – here are 5 for the bucket list! This multi-award winning rooftop bar is the highest open-air bar in the world, suspended on a precipice on the 64th floor, 250 metres in the air. The multi-hued, vertigo-inducing Sky Bar is perfectly placed for the most amazing views of sunsets over Bangkok and has appeared in many a Hollywood action film. Their world- famous Ice Poptail, where cocktails are paired with freezing ice popsicles in various flavours – are perfect for hot Summer Bangkok nights! (Photo Cred: nodestinations.com). Cindy’s rooftop restaurant and open-air terrace definitely sums up the experience of Chicago! 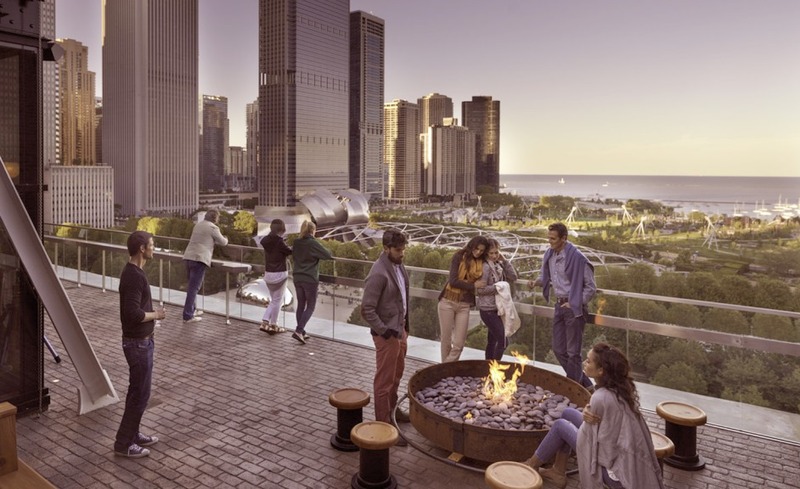 Perched atop the historic Chicago Athletic Association Hotel, the bar and open-air terrace gives the impression of a relaxed and open-air beach house with is breath-taking views of the immense Lake Michigan. Open fire pits give it a warm and homey-feel and the restaurant offers some of the best cuisine and bio-dynamic wines around and it’s slightly on the exxxy side, but the views are worth it! (Photo Cred: Chicago Athletic Hotel). Built in the style of a 1920’s transatlantic crossing cruise liner, Rumpus Room is a re-imagined luxurious riverside rooftop bar boasting iconic views of London’s skyline. 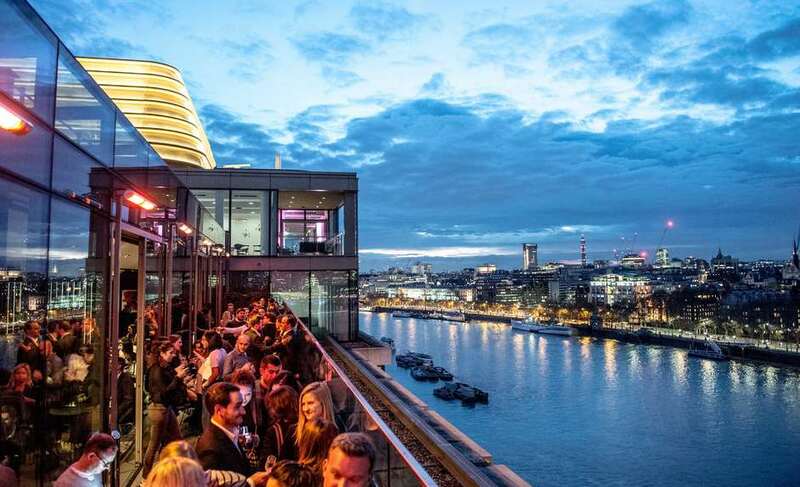 Situated on the trendy South Bank of the River Thames, the Rumpus Room offers British-American inspired cocktails and cuisine, and the outside terrace space provides a perfect opportunity to enjoy the sunset, drink in hand. (Photo Cred: LondonTown.com). The Press Lounge is located on the 16th floor of the Ink48 Hotel in Hell’s Kitchen. 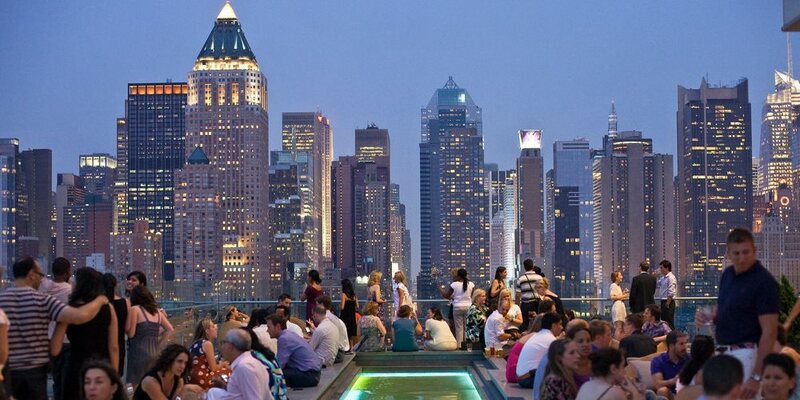 Opening in 2010, it quickly became recognised as one of New York’s best rooftop destinations, offering breathtaking views of the Manhattan skyline and Hudson River. It is also one of the only rooftop bars in NYC that stays open during winter, where the beautifully designed bar is enclosed with glass so seasonal cocktails and local wine can be enjoyed in addition to the traditional summer season. (Photo Cred: The NY Times). Located atop the Mandarin Oriental in Barcelona, Terrat is a truly memorable Alfresco experience. 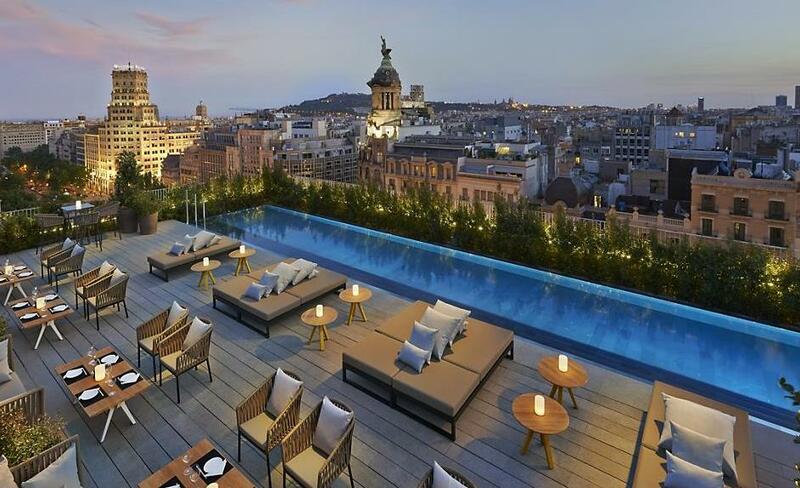 Offering impressive 360 degree views of the cosmopolitan capital of Spain’s Catalonia region, you can enjoy a dip in the pool before sampling world famous wines and cocktails served alongside a selection of delicious and authentic Peruvian cuisine. You can easily spend half a day here taking in the luxury, ambiance, cuisine and eventually the spectacular sunset over Barcelona. (Photo Cred: Mandarin Oriental.com).